The Marin Stinson 7 topped our list when looking for a comfort bike to stock. It has a traditional “foot forward design,” allowing the rider to remain seated with both feet on the ground when stopped. It also has a light alloy frame, comfortable saddle, and a minimalist 7-speed drive train. What makes the Stinson really special, however, is “underneath the hood.” Unlike virtually every other bike in its price range, the Stinson uses high-quality double-wall rims and a cassette rear wheel, making for a more robust, lower maintenance bike. Under the radar: Higher build quality and nicer components than the competition. 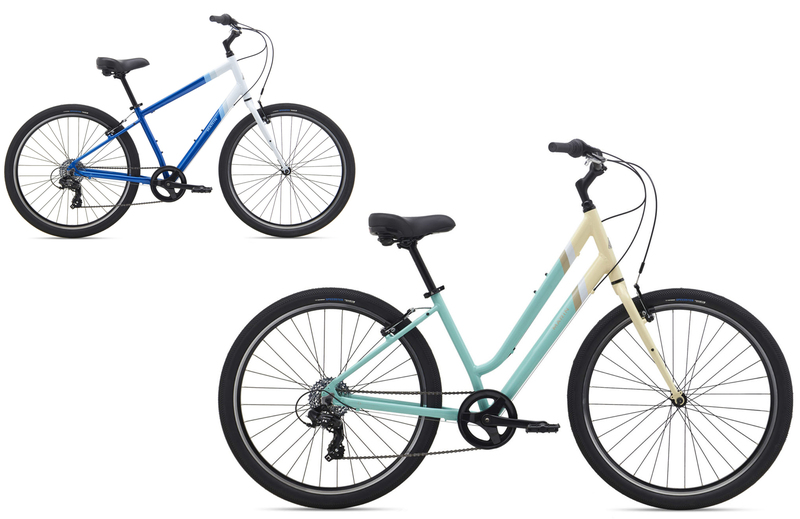 The Bottom Line: Equally fun in the city or the beach, a low maintenance bike at a great price.